To mark this year’s United Nations International Day in Support of Victims of Torture, International Partnership for Human Rights (Belgium), Helsinki Foundation for Human Rights (Poland) and Central Asian human rights groups launched an online action that will run until the end of July 2016. CASE 1: BROTHERS IHOM AND RAHIM IBODOV FROM UZBEKISTAN – INVESTIGATE ALLEGED TORTURE AND DEATH IN CUSTODY! His brother Rahim Ibodov was subjected to torture by officers of the Uzbekistani police and National Security Services and is currently serving an eight-year prison term. Brothers Rahim and Ilhom Ibodov were businessmen running a car accessories business in Bukhara, central Uzbekistan. In recent years officials of the local National Security Services and others reportedly extorted bribes from the brothers in exchange for letting them run their business, an arrangement that is reportedly common in the business sector of Uzbekistan. When the brothers fell out with these officials over the financial arrangements and threatened to expose them, they were arrested on 16 August 2015 and accused of financial crimes. There are allegations that Ilhom and Rahim Ibodov were severely beaten while in detention facilities under the Bukhara City Department of Internal Affairs and the Bukhara City National Security Services. On 12 September 2015 Ilhom was reportedly beaten so severely by three SNB officers that he later died from his injuries. Despite hearing allegations of torture on 15 February 2016 Bukhara City Court sentenced Rahim to eight years‘ imprisonment based on evidence allegedly extracted under duress. We call on you to do all within your remit to ensure that a thorough, impartial and independent investigation is conducted into the circumstances of Ilhom Ibodov’s death and into the torture of Rahim Ibodov. In addition, Rahim Ibodov’s criminal case should be reviewed in a fair trial and all evidence obtained under duress should be excluded. We ask the Uzbekistani authorities to take all measures to ensure that the Rahim Ibodov and his family are protected from reprisals. On 16 August 2015 Ilhom and Rahim Ibodov were detained by security officials in Bukhara in relation to charges of violating trade laws and illegally trading foreign currency, of illegally travelling to Mecca on a pilgrimage and of forcing ten Russian citizens to work for them. Ilhom and Rahim were held in a detention facility of the Bukhara Department of Internal Affairs for 25 days and were told on the first day that if they signed a confession they would be released quickly. Both brothers reportedly signed confessions without reading them. However, they were reportedly subjected to further torture and ill-treatment including beatings by four “lokhmachi’” (detainees used by police and SNB officers to carry out torture in pre-trial detention) in order to force them to give further details to substantiate their false confessions. An initial remand hearing took place on 26 August, and another on 12 September 2015 at Bukhara City Court. Ilhom and Rahim’s family were reportedly not informed about the first remand hearing but at the second they noticed that Ilhom could barely walk into the courtroom and had to be supported by two officials, his head lolling onto one of their shoulders. The judge did not allow the relatives into the courtroom. On 10 September Rahim and Ilhom were transferred to the Bukhara pre-trial detention centre (SIZO) under the National Security Service (SNB). In the cellar of the SIZO, Rahim, who was being held in a cell opposite his brother’s, reportedly saw three high-ranking SNB officers beat Ilhom as he lay on the floor. During the beating one of the officials reportedly held Ilhom while another put his foot on his chest and told him “If we kill you no one will ever ask us the reason why.” Then they began to beat him again. Ilhom had already lost consciousness. Rahim Ibodov asked the doctor of the SIZO who was present to provide Ilhom with medical assistance but she allegedly refused, telling him “I’ll help him once he’s dead”. Ilhom died on 13 September 2015. On 13 September his body was given to his relatives who buried him on 14 September. 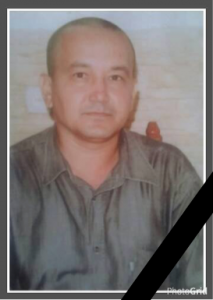 Only on 11 November 2015 was Ilhom’s family given a death certificate stating that he had died from a heart attack. Photographic and video images of Ilhom Ibodov’s body taken by the family show bruising as well as bleeding on the nails of the hands and feet. Ilhom and Rahim’s mother, Khursand Radzhaba has lodged numerous complaints with the Uzbekistani authorities about the treatment of her sons but they have failed to launch a thorough and impartial investigation into the torture and death in custody and family members have been repeatedly threatened with reprisals for speaking out about the case. On 15 February 2016 Bukhara City Criminal Court sentenced Rahim Ibodov to eight years in prison after finding him guilty of illegal purchase or sale of foreign currency (Article 177 part 3 items “a”, “b” of the Uzbekistani Criminal Code), tax avoidance (Article 184 part 3), violating trade regulations (Article 189) and money laundering (Article 243). Rahim Ibodov partially admitted violating Article 189 for accounting discrepancies. Rahim Ibodov told the court that he had signed confessions without reading them and that he and his brother had been subjected to torture by SNB officers but the judge reportedly told Rahim that he should say nothing about the torture. Reportedly no proof of the brothers’ guilt was presented to the court and the prosecution case relied on testimony obtained under torture from the deceased Ilhom Ibodov and other prosecution witnesses who were not present in court. In March 2016 Rahim Ibodov’s lawyer appealed the eight-year sentence on the grounds that the court of first instance had not taken into account the violations of the criminal procedural regulations and the allegations of torture. Nevertheless the appeal court left the first sentence in force. The court also failed to take into account the regular death threats received by Rahim Ibodov from SNB officers while he was in detention. 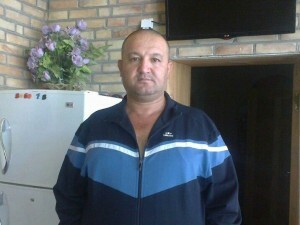 Rahim Ibodov is currently serving his sentence in prison colony UA 64/3 in the village of Tavaksai in the Bostanliq district of Tashkent region. CASE 2: RASIM BAYRAMOV FROM KAZAKHSTAN – URGENTLY IMPLEMENT UN COMMITTEE AGAINST TORTURE’S DECISION! 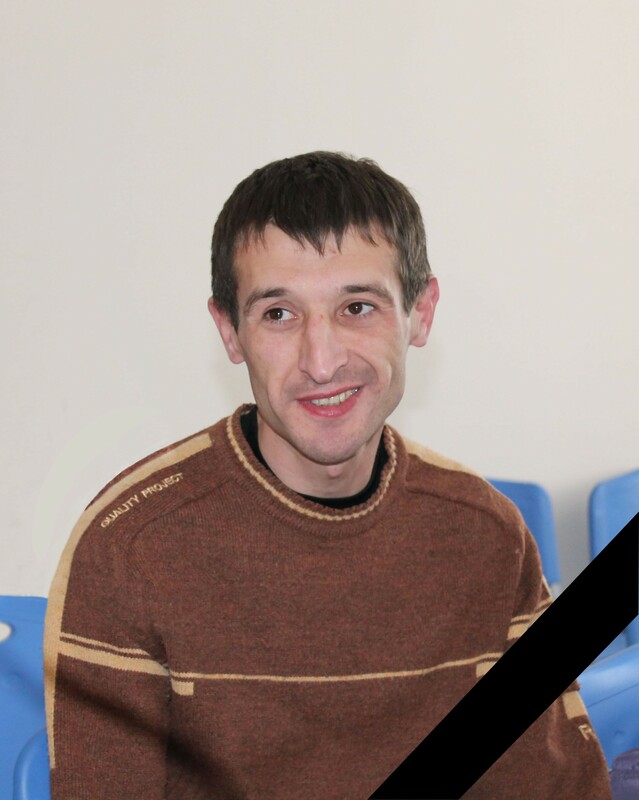 2016 Rasim Bayramov, aged 33, tragically died of complications resulting from an illness he contracted in prison. He had been fighting to prove his innocence for almost eight years. In July 2008 police officers kicked and beat Rasim and threatened to sexually abuse him if he did not confess to having stolen money and three bottles of beer from a local store. Although he and his mother lodged complaints with the authorities, the allegation that his confession was extracted under torture was not investigated and he served three years’ imprisonment for theft. Support Rasim Bayramov’s mother and the NGO Coalition against Torture in Kazakhstan in their calls for an effective investigation into Rasim Bayramov’s allegations of torture by sending an email to the Minister of Foreign Affairs of Kazakhstan at mfa@mfa.kz with the subject “Rasim Bayramov: Implement decisions of UN treaty bodies” and copying the message below. In May 2014 the United Nations Committee against Torture ruled that the authorities of Kazakhstan should carry out a swift and effective investigation in order to bring to justice those responsible for torturing Rasim Bayramov at Rudny police station in Kostanay region in July 2008. To date, no effective investigation has been carried out and the perpetrators have not been brought to justice. I call on you to do all within your remit to ensure that the case will be referred for investigation to the Special Prosecutor Units, which operate under the Prosecutor General. I call on you to do all within your remit to ensure that the investigation is not only led by officials of the Special Prosecutor Units (SPU) under the Prosecutor General, but that the SPU’s prosecutors themselves conduct all investigative activities rather than referring them e.g. to police officers. We also urge you to ensure that Kazakhstan promptly sets up a mechanism to fully implement all decisions by United Nations treaty bodies on individual cases. In July 2008 police officers of the city of Rudny in the northern Kostanay region detained Rasim Bayramov and allegedly kicked and beat him all over his body, pushed him off a chair, dragged him along the corridor by his hair, and threatened him with sexual abuse if he did not confess to having stolen some money and three bottles of beer from a local store. They deprived him of sleep at night and gave him nothing to eat or drink for over two days. Eventually, they reportedly forced him into signing a confession. Although Bayramov and his mother repeatedly complained about torture and procedural violations to local police and prosecution authorities, no effective investigation was opened into the allegations. Bayramov turned to the United Nations (UN) Committee against Torture in May 2011, with the support of the Kostanay branch of the Kazakhstan International Bureau for Human Rights and Rule of Law and the Open Society Justice Initiative. In May 2014 the Committee ruled that his treatment at the hands of police amounted to torture, that Bayramov should receive reparation and that an effective investigation be conducted into the allegations of torture in order to bring to justice those responsible for abusing him. Thanks to this decision, a court in Kazakhstan ruled in December 2014 that he be given the equivalent of around EUR 260 for moral damages suffered as a result of torture. The authorities did not conduct an effective investigation into Bayramov’s allegations and the Prosecutor General’s Office informed him in August 2015 that the case had been closed for “lack of evidence of a crime“. In February 2016, after Bayramov’s death and following a complaint by his lawyer, the Kostanay Regional Prosecutor’s Office reopened the case and referred it to the Special Prosecutors Unit at the Prosecutor General’s Office for investigation, but on 24 March the Special Prosecutors Unit closed the case for “lack of evidence of a crime“. The prosecutors failed to address the conclusions of a psychiatric examination stating that Bayramov’s allegations fully correspond with and are supported by the psychological evidence found during a psychiatric examination that had been conducted in line with the standards of the Istanbul Protocol. Rasim’s lawyer lodged an appeal against the prosecutorial decision to close the criminal investigation into the allegations of torture. The appeal was upheld by Court No. 2 in Kostanay on 6 May 2016. The Kostanay Regional Prosecutor’s office lodged a complaint against the decision, but on 18 May Kostanay Regional Court ruled that the decision to close the case was illegal. However, to our knowledge, no investigative steps have since been taken. CASE 3: THOROUGHLY AND IMPARTIALLY INVESTIGATE ALLEGATIONS THAT ELMIRA ZHAMANGARAEVA, MAKSAT IMANALIEV AND KUBAT JOLDOSHBEK UULU FROM KYRGYZSTAN WERE ILL-TREATED BY POLICE! Elmira Zhamangaraeva, Maksat Imanaliev and Kubat Joldoshbek Uulu told the NGO Voice of Freedom that in February 2015 armed police in plainclothes suddenly jumped over the fence and burst into their house in Kyrgyzstan’s capital Bishkek. Police reportedly beat them and put a gun to Maksat Imanaliev’s head. Reportedly, they continued beating the two men after taking them to the police station of Bishkek’s Sverdlovsk District. Kubat Joldoshbek Uulu said that police forced him to sign a confession about the murder of a woman, which he maintains he did not commit. To date, no effective investigation has been conducted into the allegations. A prosecutor of Sverdlovsk District has twice issued a decision not to institute criminal proceedings in the “absence of evidence of a crime“ and the Prosecutor General’s Office of Kyrgyzstan has twice cancelled his decision. In May 2016 the case was referred back to Sverdlovsk Distric Prosecutor’s Office. So far, prosecutors have not questioned or conducted any other investigative activities involving Elmira Zhamangaraeva, Maksat Imanaliev and Kubat Joldoshbek Uulu in order to shed light on what happened in February 2015. Elmira Zhamangaraeva, Maksat Imanaliev and Kubat Joldoshbek Uulu allege to have been ill-treated by police upon their arrest in their home in Bishkek on 20 February 2015 and that police officers continued to beat the two men in two separate offices of Sverdlovsk District police station. To date, no criminal case has been opened and no effective investigation has been conducted into the allegations. A prosecutor of Sverdlovsk District has twice issued a decision not to institute criminal proceedings in the “absence of evidence of a crime“ and the Prosecutor General’s Office of Kyrgyzstan has twice cancelled his decision. In May 2016 the case was referred back to Sverdlovsk District Prosecutor’s Office. So far, prosecutors have not questioned Elmira Zhamangaraeva, Maksat Imanaliev and Kubat Joldoshbek Uulu, nor have they conducted any other investigative activities involving the alleged victims. I call on you to ensure that a criminal case is opened and that the case will be referred for investigation to the Special Prosecutor Units at your Office. For the effectiveness of the investigation it is crucial that special prosecutors themselves investigate the case. Elmira Zhamangaraeva, her partner Maksat Imanaliev and her brother Kubat Joldoshbek Uulu told the NGO Voice of Freedom that on 20 February 2015 at about 8.30 pm ten police officers in civilian clothes suddenly jumped over the fence and burst into their house in Kyrgyzstan’s capital Bishkek. One of the officers reportedly put his gun to Maksat Imanaliev’s head and dragged him outside where they began to beat him. Elmira Zhamangaraeva tried to intervene, but the officers reportedly began to beat her too, hitting her in the area of her stomach and legs; they pulled her hair and slapped her. Police took the three to Sverdlovsk District police of Bishkek and placed the two men into separate offices on the second floor for questioning. Elmira Zhamangaraeva told the NGO Voice of Freedom that she heard Kubat Joldoshbek Uulu and Maksat Imanaliev screaming as they were beaten. Kubat Joldoshbek Uulu later told his lawyer that in the duty office of the police station officers chained his hands to a chair and beat him on the head and body with a plastic bottle filled with water, and twice lifted him up and threw him to the floor. The officers said they would continue beating him unless he confessed to the murder of a woman, he reported. Eventually, he agreed to write and sign a confession that a police official dictated to him. On 25 February 2015 the lawyer filed a complaint requesting the Prosecutor General’s office to open a criminal case into the allegations of torture relating to Elmira, Maksat and Kubat. Subsequently, an investigator of the prosecutor’s office questioned the police officers who detained Maksat Imanaliev and Kubat Joldoshbek Uulu but they denied using illegal methods to interrogate the detainees, claiming that all three had strongly resisted arrest. To our knowledge, no further investigative activities were conducted and on 25 March 2015 the Prosecutor’s Office of Sverdlovsk District in Bishkek issued a decision not to institute criminal proceedings in the “absence of evidence of a crime”, based only on the reports of the alleged perpetrators. In December 2015 the Prosecutor General’s Office of Kyrgyzstan issued a decision to send the case for further investigation. However, the investigation was entrusted to the same investigator at Sverdlovsk District Prosecutor’s Office who previously recommended not to open a criminal case. In March 2016, again, he issued a decision not to open a criminal case. In May 2016 the Prosecutor General’s Office returned the case for further investigation to Sverdlovsk District Prosecutor’s Office. A psychiatric forensic examination is currently pending, but, to our knowledge, no other investigative activities have been conducted. Prosecutors have not questioned Elmira Zhamangaraeva, Maksat Imanaliev and Kubat Joldoshbek Uulu. Maksat Imanaliev and Kubat Joldoshbek Uulu are currently detained in a pre-trial detention facility.